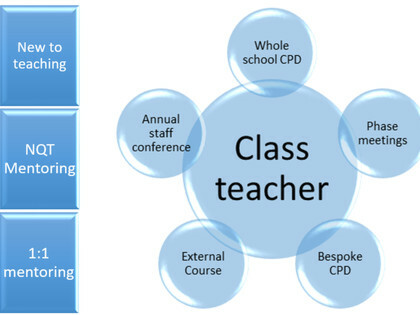 What does Claycots offer to a Newly Qualified Teacher? 1:1 Mentor – we will assign an experienced mentor and ensure that you have scheduled time to meet each week. Your mentor will support you throughout the NQT programme. New to teaching CPD programme – Claycots runs an extensive new to teaching CPD and support programme. There are no questions too small or insignificant… we will tailor your programme around your strengths and areas for development but it will cover: Safeguarding children, marking, assessment, planning, the National Curriculum end of year expectations, behaviour management and Special Educational Needs. Year Teams – you will be placed in a team of up to 4 other teachers. Your year team will be mirrored on the other campus. This will provide you with a wealth of experience and support. You will work with your year team and share resources, planning and other tasks – with the aim of cutting the workload for teachers and improving your professional knowledge through regular dialogue with your team. Each year team has a Year Leader to support any NQTs with day to day questions or advice. 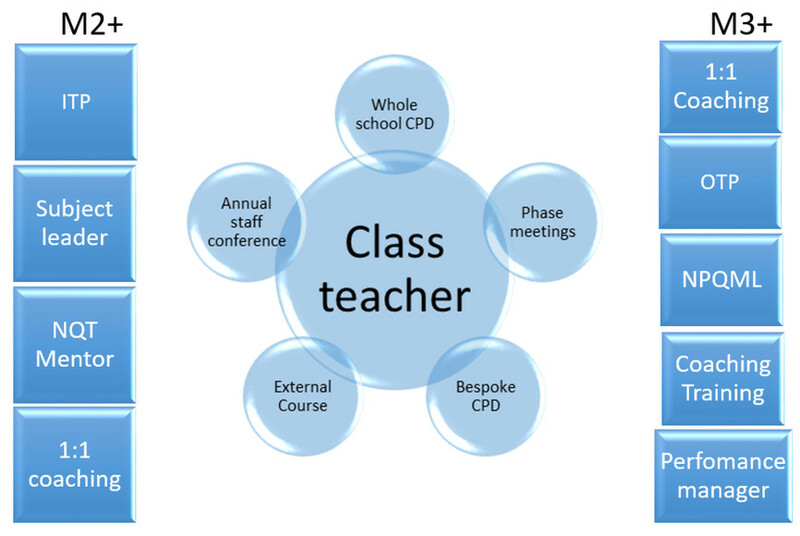 Whole School CPD programmes – You will attend some of the whole school CPD programmes where it is relevant to you. There are optional units to choose from depending on your interests as a practitioner. 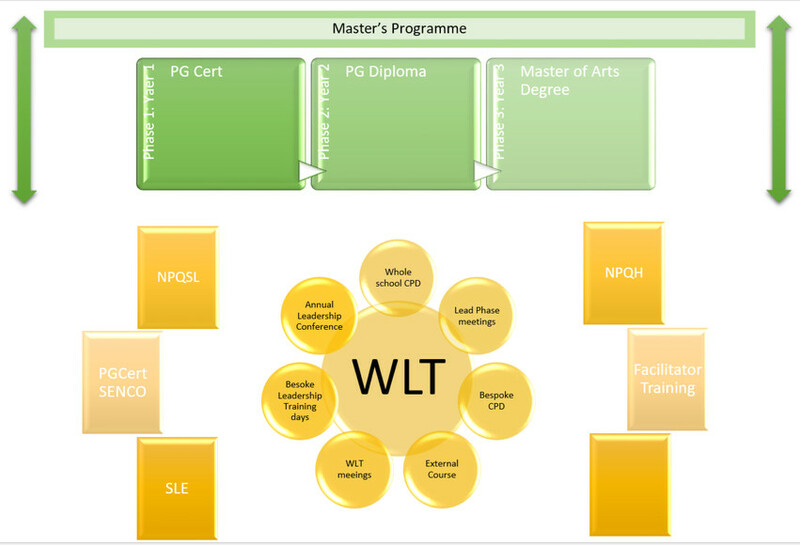 Improving Teacher Programme (ITP) –Facilitated by experienced school leaders and teachers, the highly effective and motivating Improving Teacher Programme gives teachers, who want to improve their practice, a set of skills and strategies to reach the next teaching level. The ITP has gained a national reputation for raising standards in teaching and learning. Whole School CPD – Enigma Pathways CPD programme. The right support for the right person at the right time. Claycots offers a programme of whole school and small group weekly CPD. Individual research based units are taught over a number of weeks, teachers can choose which units to attend depending on your interests as a practitioner. Subject Leadership – This is the perfect opportunity to take ownership of a part of the curriculum to lead and develop other teachers, ultimately raising standards for our children. You would be provided with support and mentoring to develop an action plan and a budget to put this in to place. This is a perfect first step into leadership if this is how you want your career to progress. Previous successful subject leaders have gone on to become Year Leaders. Mentoring – As an experienced teacher we would offer you the opportunity to mentor an NQT or a teacher who is new to the country. Support and scheduled time would be provided for you to meet regularly. Training to become a mentor would be offered. 1:1 coaching – If a teacher requests this, a senior leader would be assigned to coach you on improving practice, leadership and management skills or another area you wish to develop. Outstanding Teacher Programme (OTP) - facilitated by experienced school leaders and teachers, the Outstanding Teacher Programme gives good and outstanding teachers a set of high level skills and strategies that enable them to become consistently and sustainably outstanding. The OTP has gained a national reputation for raising standards in teaching and learning. Whole School CPD – Enigma Pathways CPD programme. The right support for the right person at the right time. Claycots offers a programme of whole school and small group weekly CPD. Individual research based units are taught over a number of weeks, teachers can choose which units to attend depending on your interests as a practitioner. For a more experienced teacher, the opportunity to lead one of the units or some of the whole school CPD may be offered. Membership of Teams – As a more experienced teacher you may be offered the opportunity to join a Reading or Maths (or other) action team, to work with the senior leaders to raise and maintain attainment for children in the whole school. Members of the team would work closely with external educational consultants who provide high quality development for the team. National Professional Qualification for Middle Leaders (NPQML) - The National Professional Qualification for Middle Leadership (NPQML) is a qualification that provides national recognition of your leadership development and professional achievement as a middle leader. This qualification is designed to support you in becoming a highly effective middle leader with skills, confidence and knowledge to drive successful team performance and improve classroom practice. The qualification forms part of the National College leadership curriculum and will support your development from middle leadership into senior leadership and beyond. Coaching Training. You may wish to attend coaching training to support your development of colleagues. Develops 1-to-1 coaching skills and is of value to anyone wanting to improve the quality of support they give to others. It will help you work with people to overcome barriers whilst working with the grain of their motivation. Performance Management training. You will be offered support and training in undertaking performance management of support staff or other staff members. Post Graduate Qualifications at University - This would depend on your own career pathway and areas of interest. Claycots has recently sponsored staff members through Masters programmes and PG Cert SENCO and is currently in talks with a number of universities to support a flexible postgraduate qualification programme to provide PG Cert, PG Diploma or an MA degree. National Professional Qualification for Senior Leaders (NPQSL) - NPQSL is suitable for senior leaders with cross-school responsibilities, experienced middle leaders, deputy heads, SENCOs and senior members of staff. The qualification provides recognition of leadership development and professional achievement. NPQSL has a flexible, modular structure that combines core modules with freedom to specialise and to develop candidate’s own professional areas of interest through the choice of elective modules. Specialist Leaders in Education (SLEs) - SLEs are leaders identified by the National College as being able to provide exceptional support to schools in need within their specialist areas. SLEs have to apply through the National College and go through a selection, assessment, and monitoring process before they are allowed to deliver support to schools. Aspirant SLEs can apply in two rounds each year, in May and October.